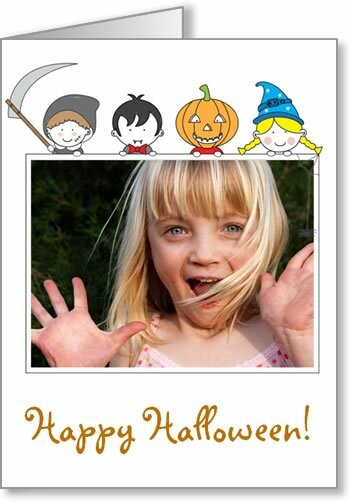 On this page you'll find 13 spooky photo cards that are great for giving to friends, family and classmates. I think photo cards are much more fun to give and receive then ordinary cards. When I receive one I usually put it on my fridge or mantlepiece and it makes me smile every time I see the photo. 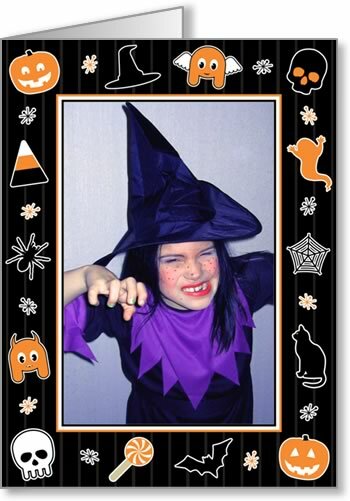 To make photo cards you used to have to use a specialty service but these days the quality of printers is so good that you can make great looking Halloween photo cards using your home or work printer. 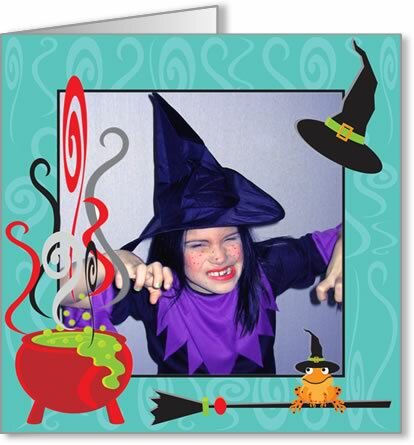 In any case, the point of Halloween cards is to be fun and playful, not to spend lots of money. You don't need any special computer skills to use our cards. All you need is a digital photo and Microsoft Word. 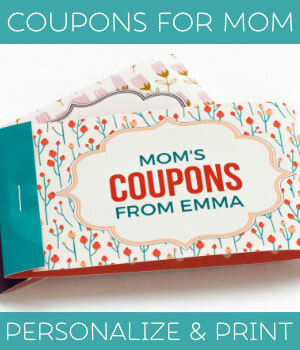 Our templates are designed to be super easy to use and come with built-in instructions. There's even a quick video showing you how to use them in case you get stuck. 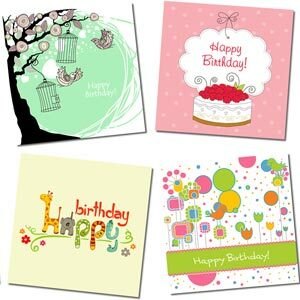 By the way, all our photo card templates use high quality 300 dpi images so that they'll look crisp and sharp (not grainy) when you print them out, unlike some others that you might find on the web. 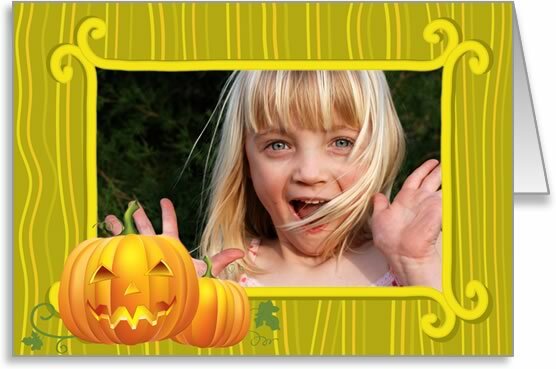 A cartoon "wood-effect" photo frame with a cute Jack-o'-lantern pumpkin in the corner. I like this card because it's not too scary. I freely admit that I'm a big wimp when it comes to scary things :-) Thank you to Horton Web Design for permission to use the example photo of the little girl. 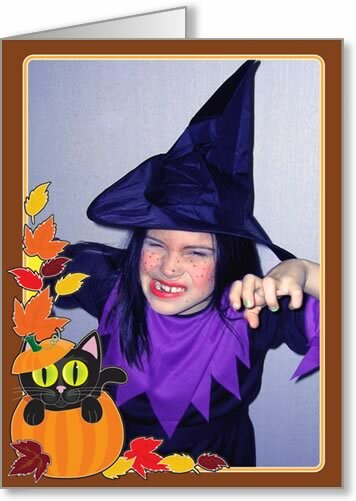 A good one for smaller kids, this card features a little boy in a wizard outfit surrounded by a cat, bat, pumpkin and full moon. 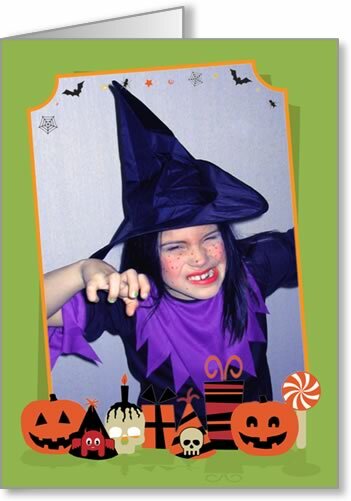 This card is a good one to use if you want your photo to print out quite big. 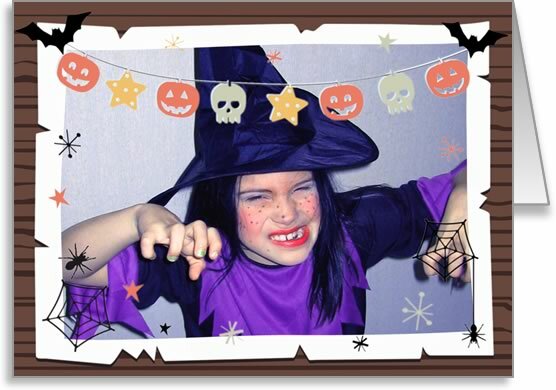 It's a spooky photo frame with Halloween bunting hung across it and spider webs in the corners. I like the way the bats and spider dangle over the photo in this orange stripy card. Just make sure they don't dangle over someone's face in the photo :-) Thank you to MiiraT for permission to use the example photo of the "witch" here. 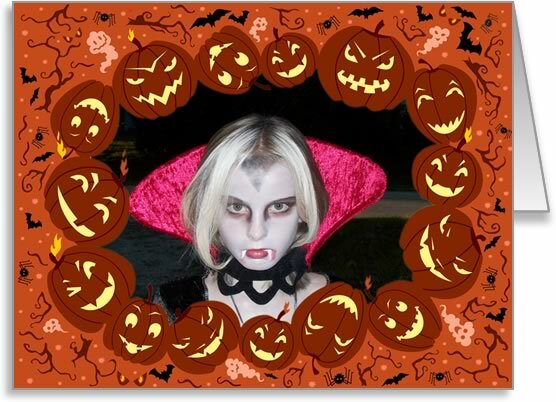 A spooky photo card with a ring of Jack-o'-lanterns. 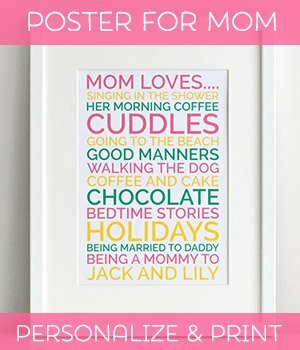 A good one to choose when your kids want something a more on the scary side. Thank you to Wendy Lee for permission to use this example photo of "Dracula". 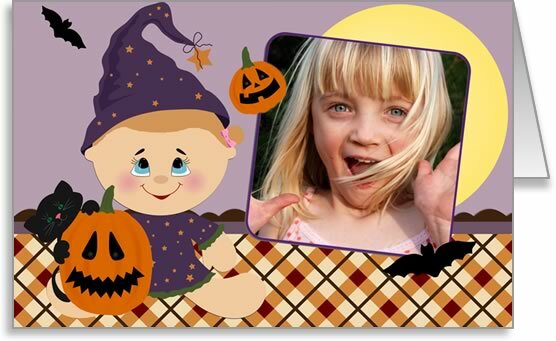 A cute stripy photo frame card with ghosts, pumpkins, witch's hats and more. This is a good one to use if you have a portrait orientation photo. A cute Halloween card with a black cat peeking out of a pumpkin. This would also make a good thanksgiving photo card, because it isn't all that spooky. 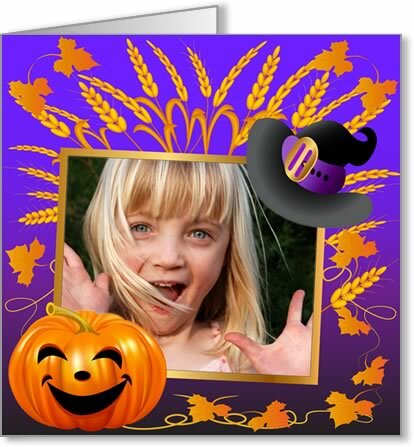 A Halloween card with a party mood, featuring pumpkins, party hats, and an angled photo frame. This card has a harvest-time feel to it, with wheat sheaves and autumn leaves in the background, while a Jack-o'-lantern and witch's hat add a mysterious element. 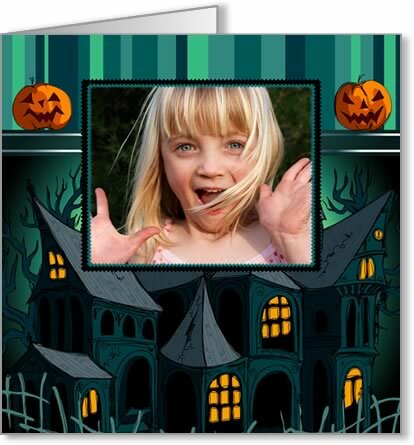 Spooky houses, Jack-o'-lanterns, and a dark green color theme make this a spine-chillingly scary card... (well, maybe if you're 5 years old). An eerie blue photo frame with a bubbling cauldron in the corner. I like the little toad on the broomstick, wearing a tiny witch's hat. 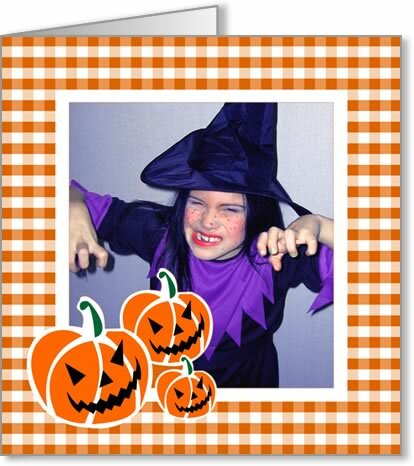 An orange checked Halloween photo card with Jack-o'-lanterns in the corner. 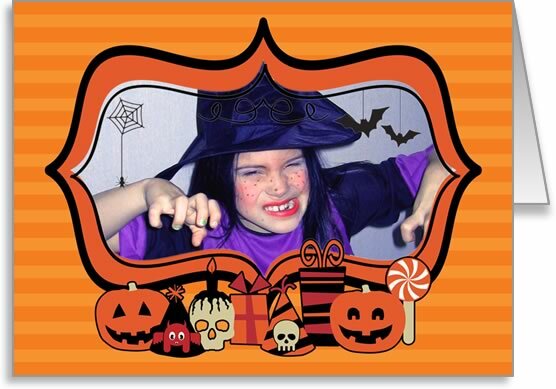 I hope you enjoyed our Halloween photo card templates! If you have any questions or comments, or just want to say hi, please contact me with this handy form or use the comment box at the bottom of the page. 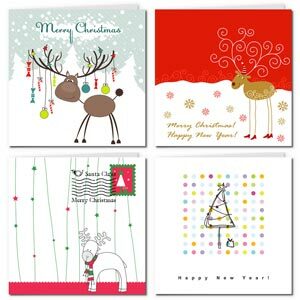 ...or browse our complete gallery of free printable greeting cards .